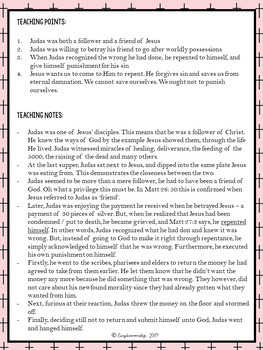 In this resource, we look at Judas' betrayal that caused the capture of Jesus. 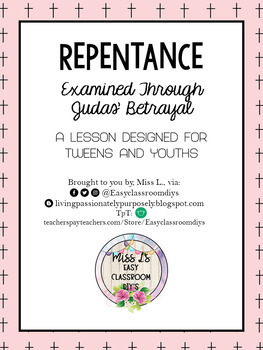 However, we carefully examine Judas' actions of how he condemned and sentence himself to hang. 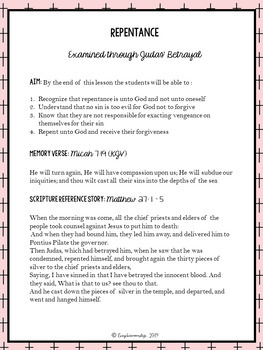 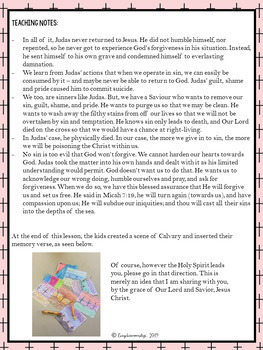 It was designed as a Sunday School lesson, but can be adapted into sermon notes as well.